Swashdrive™ Developments are continually researching and developing their Swashdrive Tattoo Machines to further refine the performance and reliability of their products. 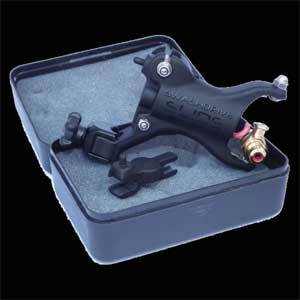 Newschooltattoo.com is pleased to be able to supply the following Swashdrive Tattoo Machines & Models. With the latest version of the Slide, the manufacturer has upgraded the slide action by slightly changing the configuration and adding three roller bearings for a seriously smooth action. For those of you who wanted a specific liner to go with The Swashdrive Whip (below) here you have it! A light weight smooth jackhammer action, with no give. The Swashdrive WHIP is built to the same exacting standards as the Gen 7. Adjustable Slider lets you shift from soft to hard hitting on the run. It has the same robust motor as the Gen7 and a heavy duty construction. High acceleration from low mass inertia. Same signature Swashdrive reliability. 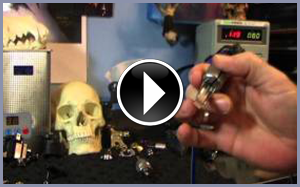 The Tattoo machine has been designed for reliability. 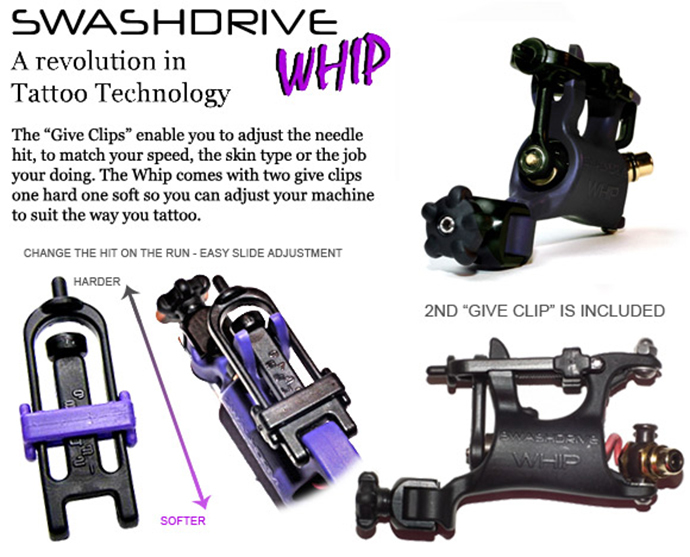 The Swashdrive™ Whip is a collaboration between at tattoo artist with 25 years in the business and an engineer who has been willing to explore the boundaries, listen to the feedback, then produce an even better machine than the previous model.